The George Washington University Hospital was the first in the region to offer patients robotic surgery procedures using the sophisticated da Vinci Surgical System. Currently, GW Hospital has one of the largest robotic thoracic programs in the world and one of the region’s largest robotic prostate cancer programs. Minimally invasive surgical techniques allow surgeons to operate through small incisions or existing body openings, rather than making large incisions that accompany traditional open surgery. When surgeons perform conventional laparoscopic minimally invasive procedures, their vision, range of motion and access to desired areas of the body are at times limited because of the techniques used. 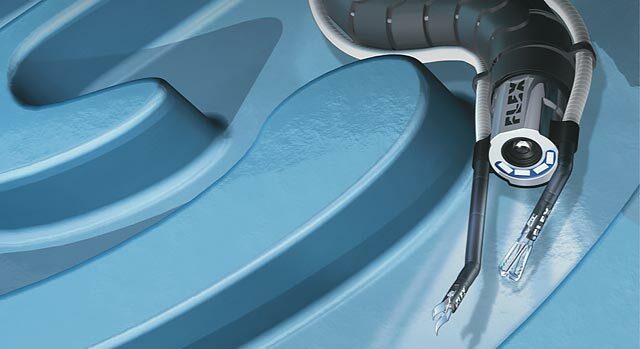 Robotic surgery can alleviate those roadblocks to a much larger degree. The da Vinci Surgical System offers maximum precision, 3D rotation and 3D magnification that can allow surgeons to maneuver into the confined spaces of the body. Using specialized instruments, this technology can provide a greater range of motion and precision to treat patients. In 2017, GW Hospital expanded its robotic services to include the flexible Medrobotics Flex® Robotic System. 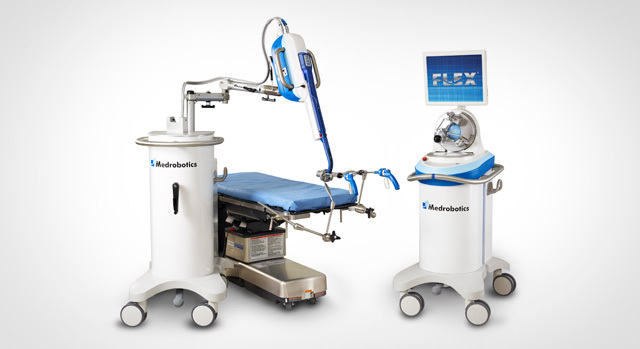 Unlike straight, rigid instruments, the MedFlex robot bends and is designed to navigate the body’s twists and turns through natural openings. GW Hospital was the sixth hospital in the U.S. to obtain this robot. GW Hospital was the first hospital in the world to perform colorectal surgery with the MedFlex robot.